Pledges totaling more than $670 million have already been made to restore Notre Dame Cathedral in Paris following the devastating fire on Monday. The fire was extinguished early Tuesday. According to The Washington Post, an investigation is underway to determine what started the fire that led to the destruction that left Parisians, and those around the world watching the flames online, spellbound. On Monday, French President Emmanuel Macron called for donations to rebuild the cathedral, and he did not need to wait very long for a response. French billionaires Francois-Henri Pinault of Kering Group, the parent company of Gucci, his father Francois Pinault, Bernard Arnault of LVMH, a luxury goods group, and oil company Total S.A. are the biggest donors with pledges that total more than 600 million euros, which amounts to $670 million. 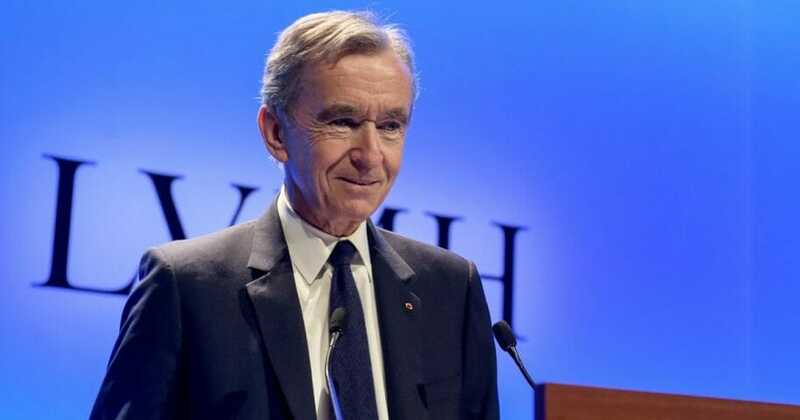 “The Arnault family and the LVMH Group, in solidarity with this national tragedy, are committed to assist with the reconstruction of this extraordinary cathedral, symbol of France, its heritage and its unity,” a family-issued statement said. “They will donate a total sum of 200 million euros to the fund dedicated to the reconstruction of this architectural work, which is a core part of the French History. In the meantime, the LVMH Group puts at the disposal of the State and the relevant authorities all its teams – including creative, architectural and financial specialists – to help with the long work of reconstruction and fundraising, which is already in progress,” the statement said. The Pinault family pledged 100 million euros. Patrick Pouyanné, the CEO of Total, said his company would contribute 100 million euros. Do you think Notre Dame will ever be fully restored? Other donations continued to come in Tuesday. Henry Kravis, co-founder of private equity group KKR, and his wife Marie-Josée Kravis said they would give $10 million to the effort. The French construction company Vinci also said it would support the restoration project. “The partial destruction of Notre Dame is an unqualified tragedy. The 13th century wooden beams holding up the roof will never be replaced. But the part of Notre Dame that has survived the fire must be safeguarded,” the company said in a statement according to Reuters. “Vinci suggests all building companies in France should join forces to rebuild Notre Dame in an industry-wide skills sponsorship drive,” the company added. More donations came in as national and companies reacted to the disaster. Paris Mayor Anne Hidalgo said Tuesday she was considering calling an international conference of donors to raise the money needed to restore the cathedral. The full extent of the damage is yet to be determined. Cathedral spokesman André Finot said stained glass windows that date from the 12th and 13th centuries likely survived intact. Culture Minister Franck Riester said the organ “was quite affected” but many artworks were saved as were two famous relics — a tunic worn by Saint Louis, who ruled France in the 13th century, and a crown of thorns said to have been worn by Jesus Christ, according to The New York Times. INSIDE NOTRE DAME: Footage shows smoldering interior of Paris’ iconic Notre Dame cathedral. Although the church’s spire collapsed in the flames, the north bell tower appeared to have sustained comparatively minimal damage.